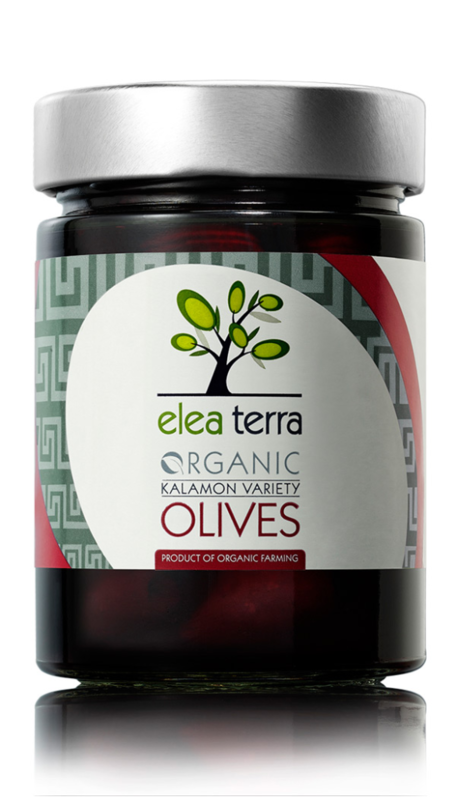 Organic Kalamon variety olives are produced with complete adherence to the principles of organic farming. When ripe, they are harvested without thrashing, and are carefully selected and left to mature using completely natural methods. They are stored in a mixture of brine and red vinegar to keep them tasty and enjoyably fleshy.